German artist Oskar Schlemmer may be popularly known for his paintings, but at the Bauhaus he was the Master of Forum at their theater program—and he produced some unforgettable costumes and performances. Look no further than this modern rendition of his Triadic Ballet (Triadisches Ballett). 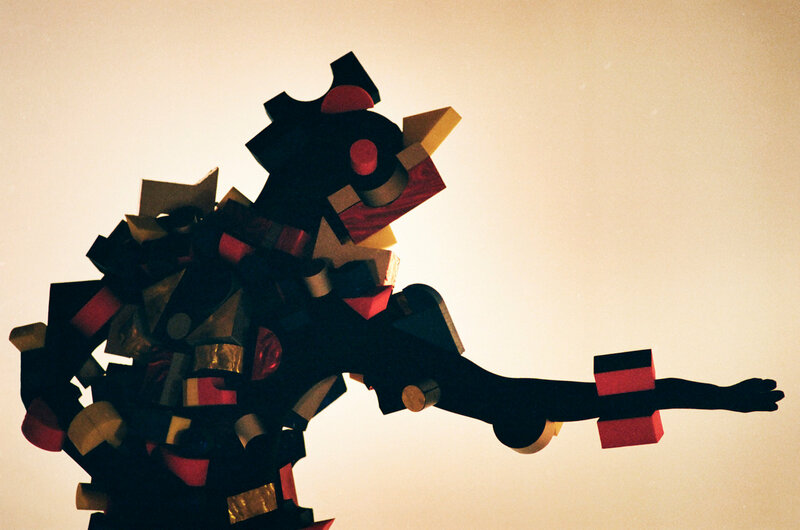 Now, a performance inspired by Schlemmer’s Triadic Ballet is coming to the Mana Contemporary space in Jersey City, New Jersey nightly from November 19 to November 22. The performance—dubbed Virtually There—has been curated by Roya Sachs and Mafalda Millies, both Performa Visionaries (Performa is a non-profit arts organization and proceeds from the show will go toward its ongoing efforts to support live performances). The costumes of Virtually There were crafted by the Campana brothers, two Brazilian designers renowned for their ability to re-use and recycle materials in their works. Those interested can find tickets here; the website says shuttles are available to and from Mana Contemporary.